If you're having problems signing into games that use Xbox Live after installing Windows 10 build 14942, then use this workaround to fix the issue. In this Windows 10 guide, we'll walk you through the steps to successfully sign-in to games that use Xbox Live if you're running Windows 10 Redstone 2 (build 14942). Reboot your computer to complete the task. 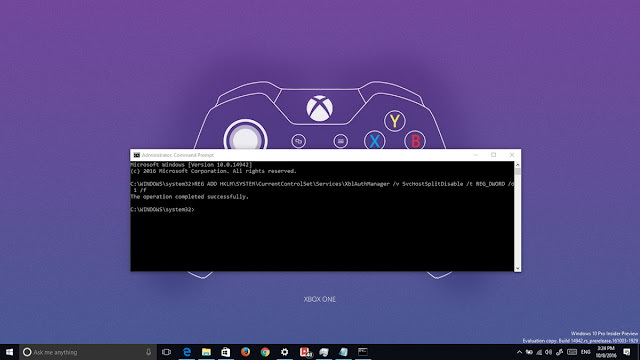 When you restart your system, the XblAuthManager will now share a service host process with Windows Update and Background Intelligent Transfer Service, which will allow you to sign back into Xbox Live.